The parade begins at approximately 5:30PM near the Mt. Pleasant side and ends in the Ashley River (after proceeding down the Charleston side of the Cooper River), at approximately 7:30PM. We say approximately, because of various factors including wind, current, and the ability of the boats to maintain headway. The Registration Form is available at this website. Captains and crews will be invited to the Captain’s Party on Sunday, December 13 from 5:00 to 7:00PM (location to be announced soon). Prizes will be awarded to the 1st, 2nd, and 3rd place boats in both the power and sail categories, with the best-in-show award going to the highest scoring boat overall. Judges represent low country public service and maritime clubs. See Judging the Boats and Tips for Participants for more information. 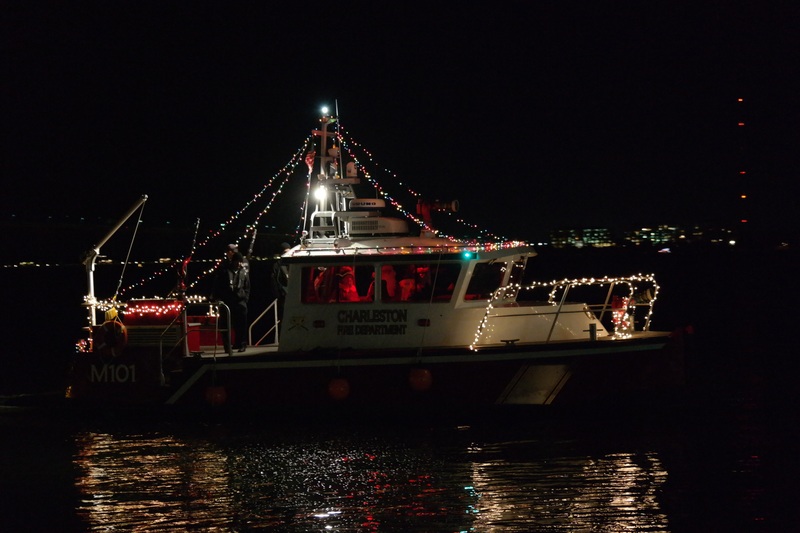 The Parade of Boats event is produced by the City of Charleston and the Charleston Sail and Power Squadron.